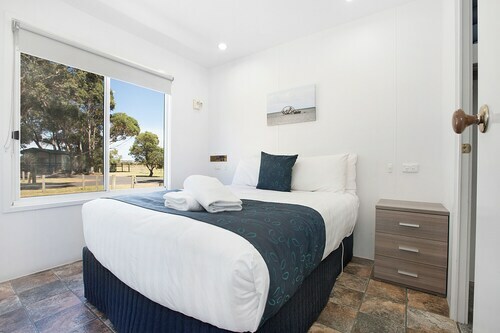 Situated by the sea, this motel is within 1 mi (2 km) of Portarlington Waterfront, Portarlington Golf Club, and Portarlington Recreation Reserve. Adventure Park Geelong and McGlashan's Wallington Estate are also within 12 mi (20 km). 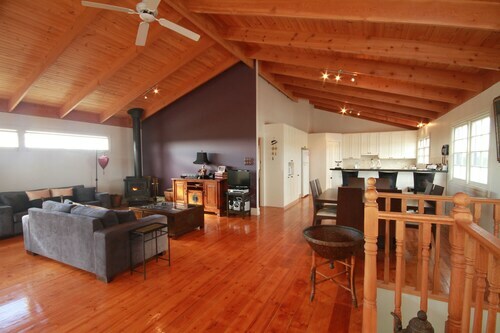 Situated by the sea, this guesthouse is within 1 mi (2 km) of Portarlington Waterfront and Portarlington Recreation Reserve. Portarlington Golf Club is 2.8 mi (4.4 km) away. Situated near the beach, this campground is within a 5-minute walk of Portarlington Recreation Reserve and Portarlington Waterfront. Portarlington Golf Club is 1.9 mi (3.1 km) away. 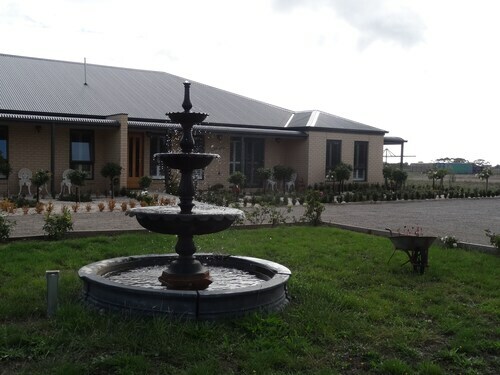 Situated in Portarlington, this golf bed & breakfast is 0.2 mi (0.4 km) from Portarlington Golf Club and within 3 mi (5 km) of Portarlington Waterfront and Portarlington Recreation Reserve. McGlashan's Wallington Estate is 11.1 mi (17.9 km) away. Escape to the seaside for a relaxed holiday in Portarlington. This good-looking town on the Bellarine Peninsula has sweeping views over Port Phillip Bay, the wineries of the Bellarine Hills, historic attractions, a fishing scene with plenty of mussel, and a popular beach. 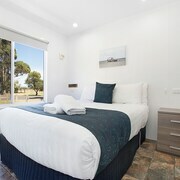 Book your Portarlington hotel with us and coast along in the south of Victoria. Portarlington is just a 30-minute drive from the city of Geelong, and driving into town via Portarlington Road you’ll pass wide expanses of farmland and glimmers of ocean views above the rooftops of houses. Here you’ll find many of the vineyards you can visit during your stay. Portarlington harvests over 60% of Australia’s mussels, and you can buy some from the mussel trawlers at Portarlington Jetty, also a favourite fishing spot. Portarlington Beach is fronted by tall cypress trees and an esplanade with a walking track perfect for a sunny coastal wander. Behind Portarlington Jetty is the SS Nash Reserve, a park with scattered picnic tables facing the ocean. On hot days, you won’t be able to resist taking a refreshing swim, and from the jetty you can catch a glimpse of the Melbourne CBD and the humps of the volcanic You Yangs granite ridges on the horizon. In December, a carnival lights up the beach foreshore with bright lights, whirling rides and screams of both fun and terror. 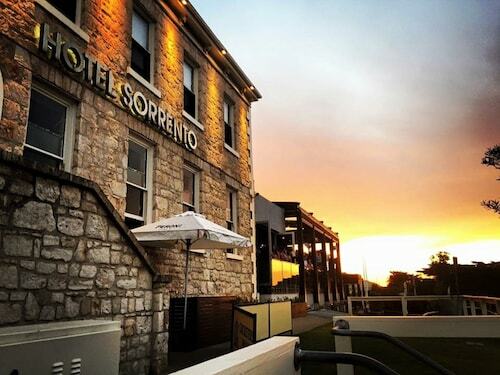 Newcombe Street is Portarlington’s commercial hub, where the three-storey Grand Hotel stands tall above shops and take-away food places. 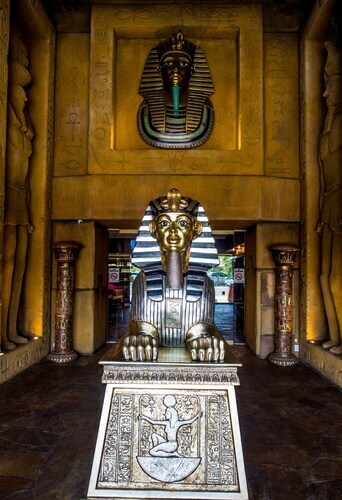 Drop into the Grand for a drink or some seafood, or tuck into some fish and chips or pizza on the beach. In the heart of town you’ll find the Portarlington Mill. A four-storey sandstone flour mill built in 1857, it’s a sight to see! Take a guided tour to see where bread was baked. If you come at the right time, you might even catch an art exhibition. If you want to try some great wines (and see some great scenery), visit some of the region’s vineyards on streets like Portarlington Road or McAdam’s Lane in nearby Bellarine. If you have a car, follow the coastal drive along the esplanade to the townships of Indented Head and St. Leonards. Both of these towns have peaceful beaches and the St. Leonards hotel was featured in the TV series ‘Sea Change’. Portarlington is about 90 minutes’ drive from Melbourne, and if you’re coming from the Mornington Peninsula, you can save time by catching a ferry from Sorrento to Queenscliff . 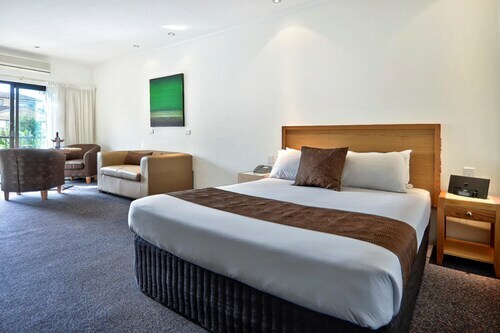 Book your Portarlington accommodation and a flight to Melbourne with us. You’ll be glad you docked here! How Much is a Hotel Room in Portarlington? 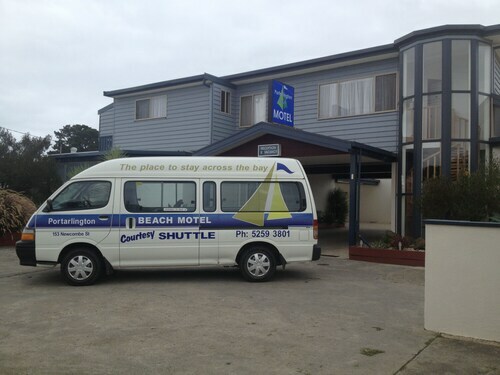 Hotels in Portarlington start at AU$116 per night. Prices and availability subject to change. Additional terms may apply.